The unspoiled North Otago coast is a haven for wildlife, and is a photographer's dream. North Otago may well be the wildlife enthusiast's "undiscovered country". Somewhat off the beaten path compared with its neighbours, yet right in the middle of everything, North Otago's vast territory remains an unspoiled landscape where nature reigns supreme and the influence of man is largely unfelt. Nowhere is this more evident than in the region's main town of Oamaru. Though initially envisaged as the South Island's main port in the early days of British settlement, the harbour failed to keep up with the demand of shipping and was eventually overtaken by nearby Port Chalmers near Dunedin. But this was good news for the local fauna, which thrived in the pristine waters and unpolluted air of this natural wonderland. Today, Oamaru is home to New Zealand's largest colony of Blue Penguins (also known as 'Fairy Penguins'), the world's smallest--and only blue-coloured--penguin species. Each evening at dusk, these penguins return in the hundreds from fishing out to sea to their land-based nests, where visitors can enjoy the spectacle of these extremely social birds tumbling onto the beach and making their way to their nests. Less well known than the Blue Penguin Colony is our colony of Yellow-Eyed Penguins. 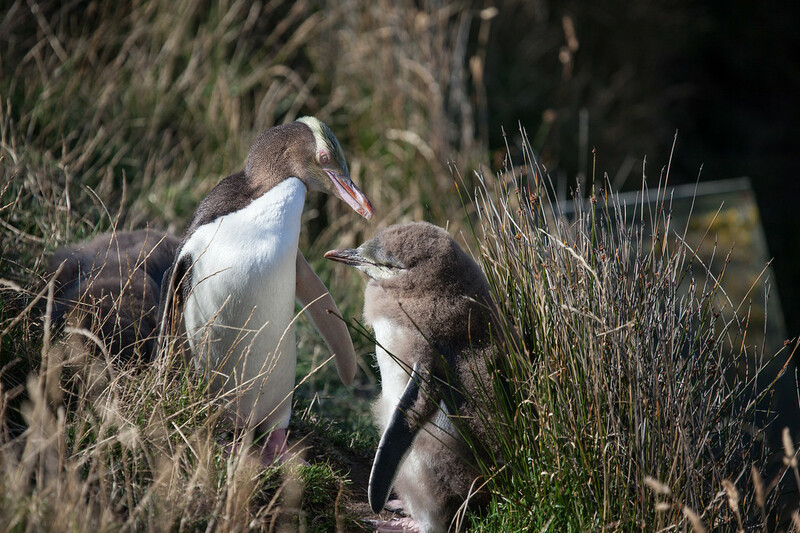 These are among the very rarest of penguins, numbering only in the thousands, yet two nearby colonies--one just a five minute drive from central Oamaru--give visitors an opportunity to see these stunning birds up close. North Otago is not just for flightless birds, though! Also present in huge numbers are shags, a variety of cormorant that can be viewed just about anywhere along our coast, though in especially large numbers on Oamaru's Sumter Wharf and in the aptly named Shag Point. Oyster catchers, tuis, and bell birds are also viewable in large numbers. Aside from birds, our coastline also is home to pods of orcas, New Zealand fur seals and sea lions, and larger whales and dolphins are also common just offshore. And best of all, it is often possible to view these incredible animals without throngs of people crowding around--though this is likely to change, as North Otago is one of New Zealand's fastest growing tourist destinations!